BMT Group Ltd today announces the appointment of Doug Webb as Non-Executive Director of the Board and Member of the Group’s Audit Committee effective from 1 October 2018. He will also become Chair of the Audit Committee from 1 January 2019. Doug brings a wealth of relevant sector and corporate financial management experience, having served in Board roles for listed companies for more than twelve years. 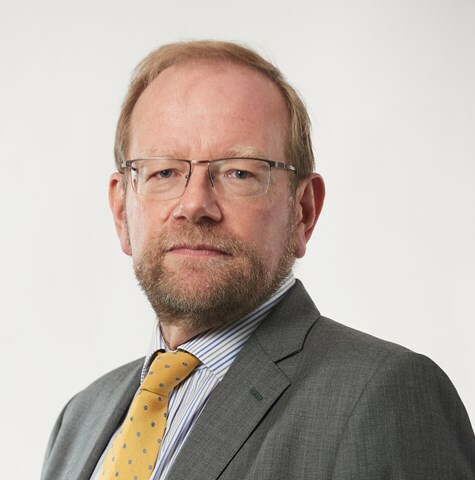 He is currently Chief Financial Officer of Meggitt PLC, a global engineering company operating in aerospace, defence and selected energy markets, with annual turnover of approximately £2 billion. His other current appointments are Non-Executive Director of SEGRO Plc where he holds the additional roles Chairman of their Audit Committee and Member of their Nominations and Remuneration Committees. Doug is Member of the Hundred Group of Finance Directors and the Investment Advisory Committee of Fitzwilliam College, Cambridge University. Prior to joining Meggitt PLC in 2008, Doug was Chief Financial Officer of London Stock Exchange Group Plc. Prior to this he held roles as Chief Financial Officer at QinetiQ Group plc and at Logica Plc’s North American division, and a Financial Director role at Continental Europe. Prior to these senior, international financial roles in defence, aerospace, engineering, technology and financial services, he spent twelve years at Price Waterhouse Coopers where he qualified as a Chartered Accountant. Doug Webb will eventually succeed Ian Davies as Chair of the Audit Committee following Ian’s planned retirement on the 31 December 2018.